Okay, let's go back in time for a sec. 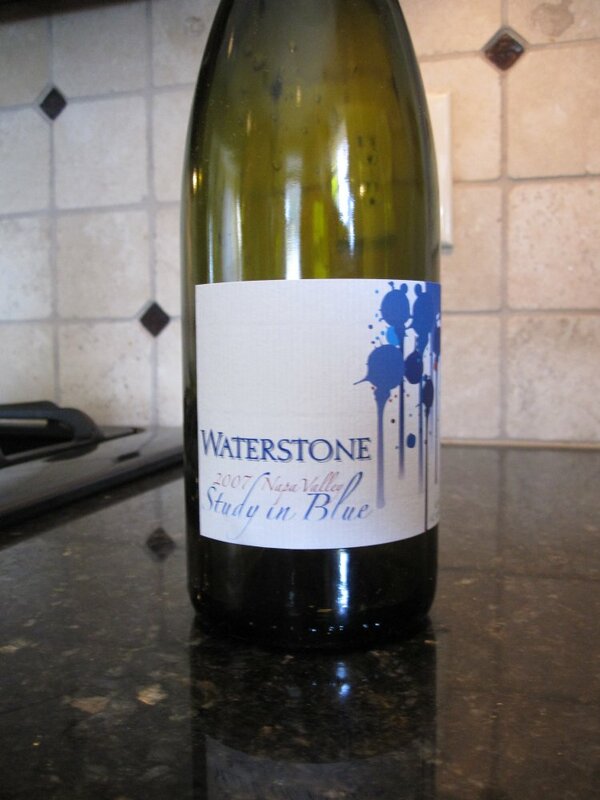 The first Waterstone wines reviewed here were, well, safe. Varietally correct, but nothing noteworthy. Then came the Cab, which really impressed. Now we've got the 08 Pinot and 07 'Study In Blue' Cab/Syrah blend. Distinctive; the nose delivers spice, smoke, interest, and intriguing cherry bomb fruit with vanilla and fast oak streaks. From first taste the palate lets you know it's going to be tough to put down. All the aromatic qualities carry through to the palate in technicolor. A rocking price from a grooving Carneros Pinot. Bargain! Extremely polished texture. Refined, but not subtle. Fruit core is balanced with enough highbrow notes of spice to hold your attention, but it never (even after a day open) loosens up. Nice, but pricey for what it is. And I'm not entirely convinced that these two grapes belong together in these proportions, regardless of who bottles it.